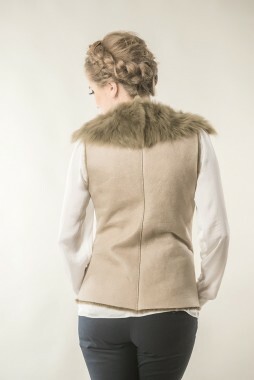 Fur vests are the perfect example of garments that stood the test of time. Of course, contemporary natural fur vests have changed a lot and, as time passed, they have improved, becoming a stylish fashion accessory. Don’t worry, they still maintain the authentic warmth of any fur product. Modern design, natural materials and care for details – these are the most important conditions that must be accomplished by any fur vest produced by A&A Vesa. Therefore, we use only natural lambskin that is processed and dyed, mainly nappa lamb leather, moisture resistant lambskin, suede lamb leather, soft to the touch and natural merino lamb fur. 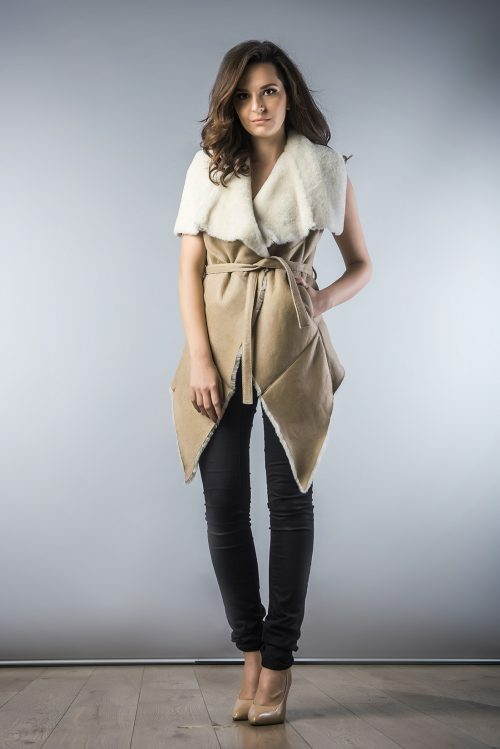 The inline of these fur vests is made out of natural merino lamb fur, trimmed down to a thickness of 10 mm (about 0.4 inches), material that offers protection against the cold weather. Also, for the glamorous aesthetics we are known for, we add rich collars made out of natural merino lamb and even polar fox furs. Our fur vests are handcrafted by experienced workers, who always pay extra attention to all the little details that make our fur coats the best you can get. In other words, A&A Vesa offers you modern fur clothing, high-quality handcrafted for bargain prices, designed to fulfill all your desires.